Summer's hot colours match the temperatures in August. This is known as Red Hot Poker. I was at Cole's the local garden centre, taking pictures. I did drop into the grocery store and I was a bit shocked to see the mushrooms on the shelf from Korea - we grow these mushrooms here, so it seemed unusual. It was more unusual that the broccoli and beans were from the U.S., given they are in season now here. "Cod caught off Norway is shipped to China to be turned into filets, then shipped back to Norway for sale. Argentine lemons fill supermarket shelves on the Citrus Coast of Spain, as local lemons rot on the ground. Half of Europe’s peas are grown and packaged in Kenya." I've just started the investigation stage for a new garden presentation on the Ethical Gardener. 'Local' is a significant topic now in relation to food and plants - and we're returning to the notion of the gardener growing vegetables for their own table. It isn't just because they taste better or cost less, it is more friendly to the environment and reduces the carbon footprint. I wonder what my own gardening carbon footprint is, and will start to figure some way of assessing this. 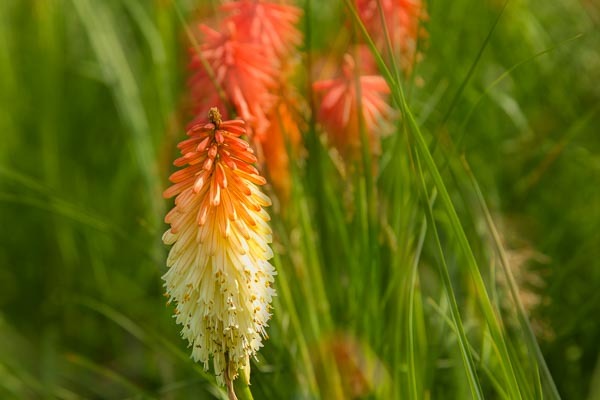 As for the beautiful Red Hot Poker (Kniphofia), it is native to Africa - discovered in the 18th century when plant exploration around the world was the rage and local was considered boring. 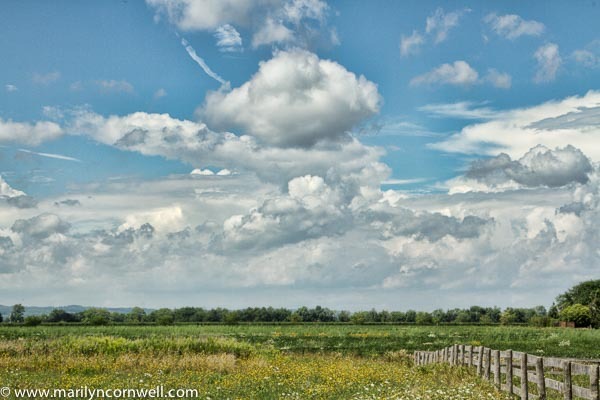 And finally, a little pastoral scenery yesterday at Martin Road, looking west.